We seem to have been in a bit of a play dough phase the last few weeks. I bought the kids two new play dough sets and they both have been big hits. The first one I actually found in a sale aisle at our local Sainsbury’s and as my son had just lost 2 teeth that past week I just could not resist buying it. 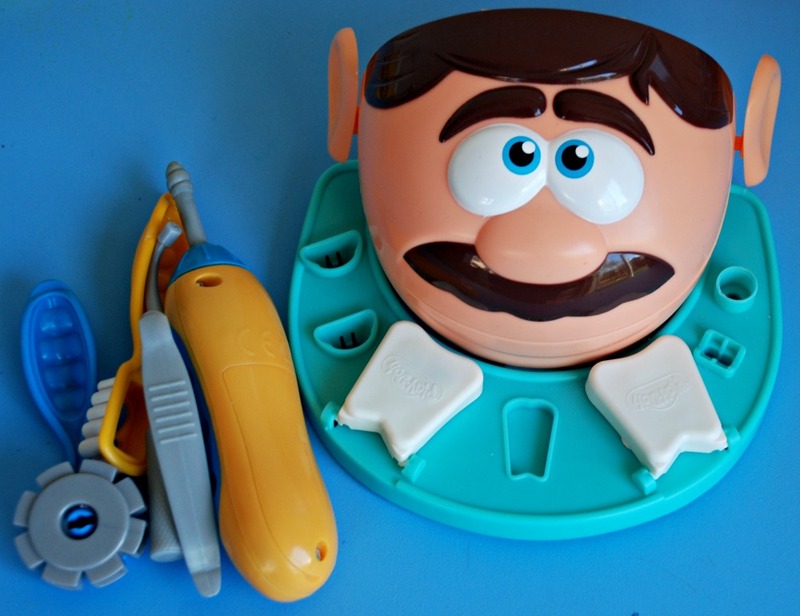 It is a mini Dentist play Doh set. Total spur of the moment purchase (largely due to the massive discount in price) but as it turns out well worth it. Both kids have spent hours creating the teeth, and giving him fillings and pretending to be a dentist. A fun way of using play dough but also a great play set for kiddies who are apprehensive about visiting the dentist. (Both my kids do not like the lights and noises at the dentist and get very tense when we go). Our second new play dough purchase was a little packet of body parts. I have been eyeing this out for a new months and I needed another £3 to fill my basket to qualify for free shipping so it was finally purchased. The pieces in the set are simple but they both my kids have used them over and over again to create a number of different “people”. 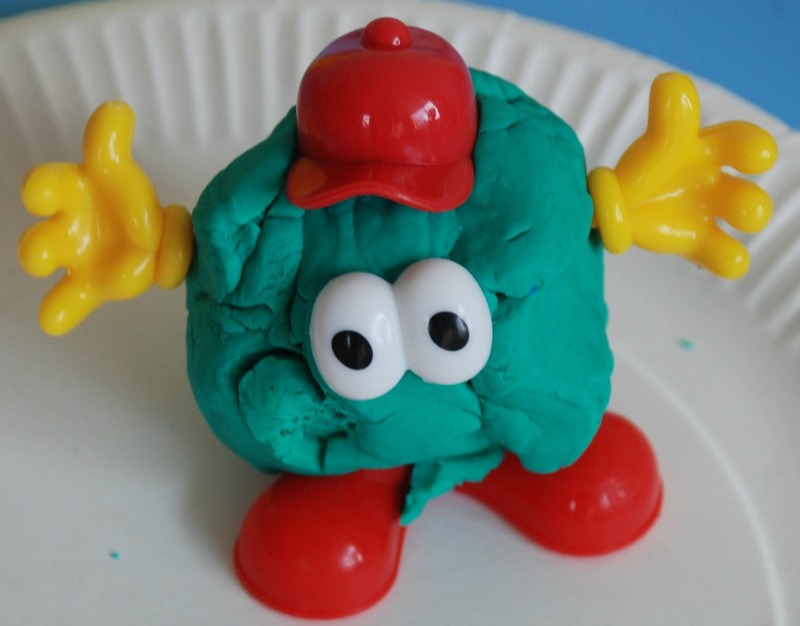 It is a great way of getting the kids to roll the play dough and push and pull objects in and out of the play dough – great for hand strengthening which is so important for writing. It is also a great imaginative toy – the kids can get very creative with the people / monsters / fantasy people that they create. And we have even used some of the people created to inspire a fun writing project – my daughter made up a story about three of the fantasy people. 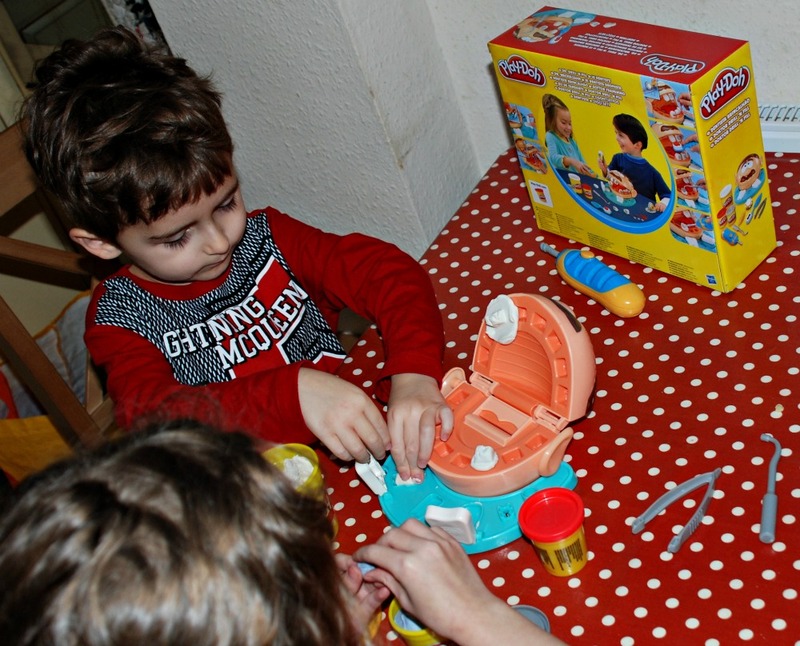 This entry was posted in sensory play and tagged dentist, home ed, homeschooling, playdough, sensory play. Bookmark the permalink.